Deep-recessed cooktop . - Designed with a recessed surface to help contain spills and make cleaning easy. Redefine your kitchen with this 30" free-standing electric coil top range from GE. Its 30" width is a versatile fit in your cooking area and the 5.0 cu.ft oven provides plenty of space for baking up a storm. It also features GE's TrueTemp system for managing oven temperatures and ensuring accurate, consistent heating, and total cooking performance. 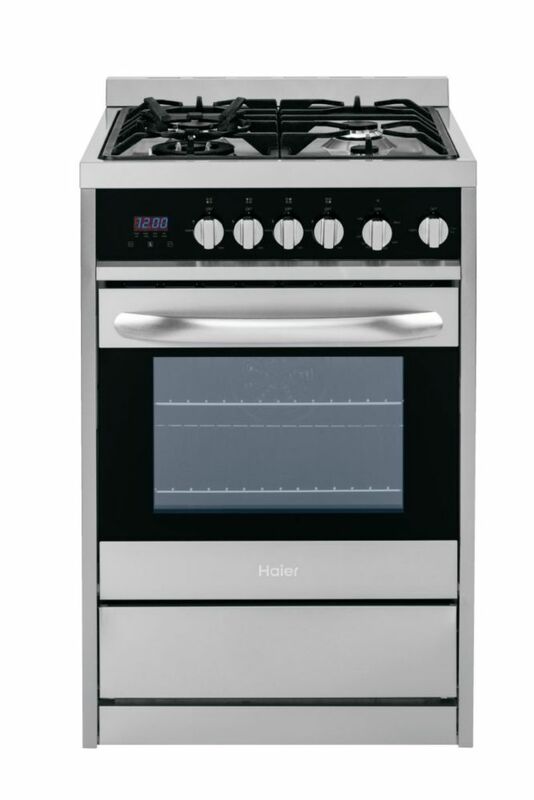 The dual fuel design of this commercial-style range features a gas cooktop with electric oven. Features like two 20K BTU Ultra Power Dual-Flame Burners and the Even-Heat True Convection System allow passionate cooks to reach their gourmet potential. commercial-style ranges bring the tools of restaurant chefs into residential kitchens. A STYLISH TAKE ON CONVENIENCE Stop reaching over hot pans to adjust your cooktop burners. Sleek, angled controls put power and visibility at your fingertips while bringing an updated, stylish look to your kitchen. The 6.3 cu. ft. oven capacity give you more space and gives you the flexibility to cook more dishes and larger platters at the same time.